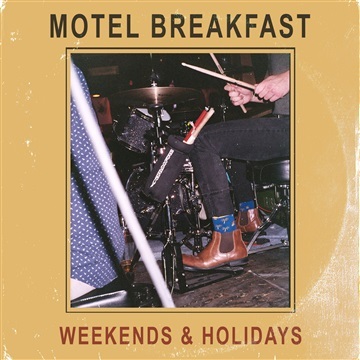 Motel Breakfast came to form playing dive bars and basements in the winter of 2016/2017. Originally comprised of southside of Chicago natives Jimmy Drenovsky (lead vox, rhythm guitar), Mick O’Donnell (lead instrumentalist), Conor Brennan (keys), and Jesse Nasadowski (percussion), they’ve since added Columbus native Drue deVente on bass and have a rotating cast of friends who join them on and off stage. Their influences extend across genres, with no sound or instrument off limits in the creative process. Rooted in the simple desires to make good music and have a good time, the band continues to play every chance they get while writing for their debut album.